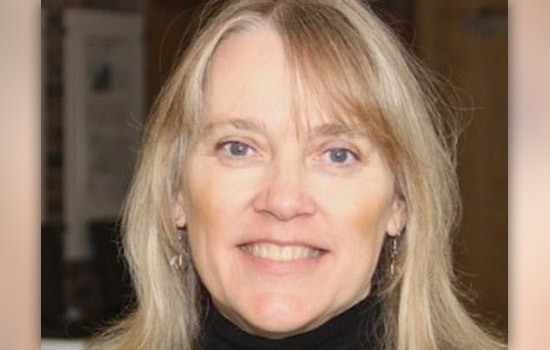 Rochester Institute of Technology Distinguished Professor Vicki Hanson was elected president of the Association of Computing Machinery, the world’s largest educational and scientific computing society. She will help represent more than 100,000 ACM members worldwide when she begins her two-year term July 1. With this election, ACM will have its first all-female executive committee. Hanson is a human-computer interaction expert and has been an ACM member and active volunteer for more than two decades. She has contributed to association conferences and served on the ACM executive committee, first as the Special Interest Group governing board chair and more recently as ACM secretary/treasurer and currently vice president. As president, her key priorities include reaching out to practitioners, young professionals and the global computing community, as well as underserved communities. Hanson notes that ACM volunteers and professional staff serve a growing international community of researchers, practitioners and students through a wide variety of conferences, publications, webinars and educational resources. As vice president of ACM, Hanson led the sponsorship of celebrations for Ada Lovelace—who is often regarded as the first computer programmer—at Oxford University and the Computer History Museum. Hanson also got ACM involved in South-by-Southwest Interactive, a computing gathering that mainly serves young professionals and entrepreneurs. “In my new role, I will remain dedicated to continuing ACM’s diversity efforts related to women, ethnicity and accessibility and will work to fully integrate these into the core fabric of ACM,” said Hanson. Hanson, who joined RIT in 2013, has experience in both industry and academia. She worked as a research staff member and manager with IBM Research, where she received an IBM Corporate Award for pioneering technology and innovation supporting IBM’s contributions to accessibility. Business Insider also named her one of the 25 Most Powerful Women Engineers in Tech. Since then, she has worked as a professor and chair of inclusive technologies at the University of Dundee in Scotland, leading teams investigating issues of inclusion for older adults and people with disabilities. As professional recognition for her contributions, she was named an ACM Fellow in 2004, a Chartered Fellow of the British Computer Society in 2008 and a Fellow of the Royal Society of Edinburgh in 2013. She also served as one of the founding members of the ACM-W Europe Executive Committee, an organization that supports women in computing professions. At RIT, Hanson teaches courses in human-computer interaction. Along with Matt Huenerfauth, associate professor of information sciences and technologies, and Stephanie Ludi, professor of software engineering, Hanson helps run the Golisano College Center for Accessibility and Inclusion Research (CAIR). The center brings together researchers working on computer accessibility and assistive technology for people with disabilities, technology for older adults and educational technologies.